Wy wife Anne and I met an Irish couple in the elevator at our hotel and they gave us two general reserve tickets to St. Patrick's Cathedral for Midnight Mass. It was wonderful! 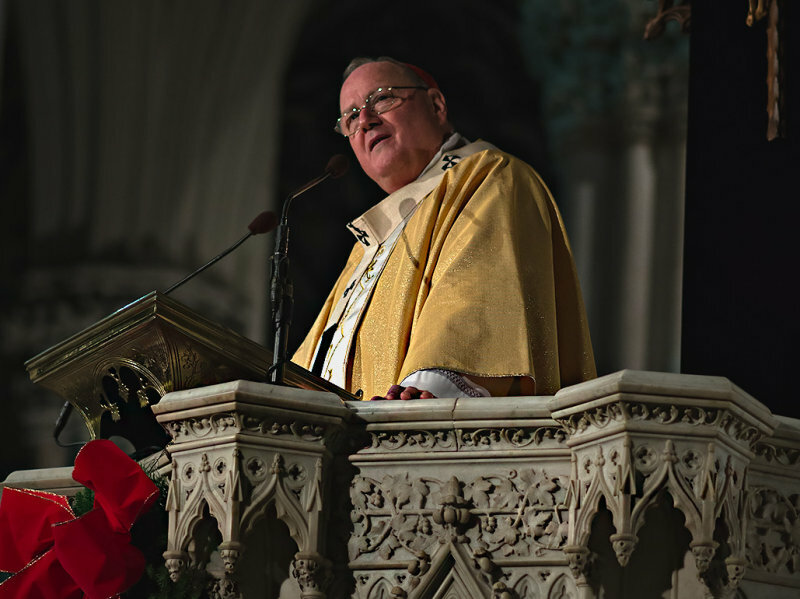 We were seated near the pulpit (it was diagonally left) and Cardinal Dolan gave a splendid homily. Great portrait with that dramatic lighting. Well done. He is a very likable and intelligent man. A wonderful portrait with great clarity. Really nice job with this portrait. "V"
Great light and details with superb bokeh, well taken from this point of view to have his demeanour shown! V.